Sun Ssu-mo [Sun Simiao] was a child prodigy. 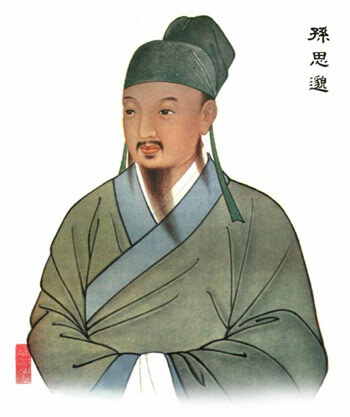 He had mastered the Chinese classics by age 20 and then became a well-known medical practitioner. His ideas and collected prescriptions were recorded in the books Prescriptions Worth A Thousand Gold and Precious Formulas for Emergency. He helped develop nutritional medicine; for example, recommending seaweed to people living in the mountain regions who suffered from goiter, and recommending liver of ox and sheep for person suffering from night blindness. He was also a Taoist alchemist, seeking demon-dispelling remedies, including spells, herbal formulas, and toxic alchemical preparations.